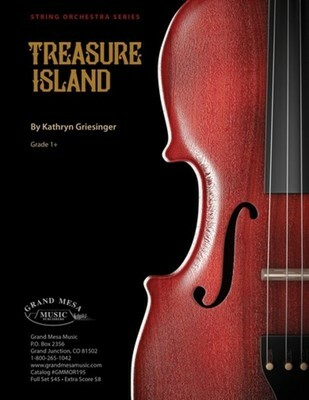 Perfect for the developing string orchestra, this piece features a lilting melody with an adventurous 'pirate' feel. Useful for reinforcing low-2 finger patterns in the key of E minor, as well as slurs and string crossings in familiar first position. A sneaky pizzicato melody adds contrast, and every section gets a piece of the jaunty tune. Optional piano.